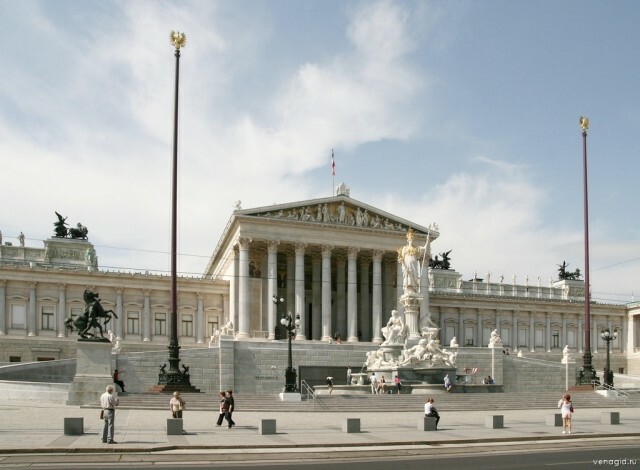 The building of the Austrian parliament (Parlamentsgebaude) has been built in 1874-84. This fine complex in neogreek style was projected by baron Teofil Edward Hansen – the doctor, one of the main architects of ensemble of Ringshtrasse. Hansen it is long has lived in Athens. In own work he relied on bases of ancient and Byzantian architecture. The parliament in Vienna, or the Vienna Reichstag, became the culmination of creativity of the designer. In this building harmony and beauty, restraint and freedom organically mix up. Greece – the homeland of world democracy. 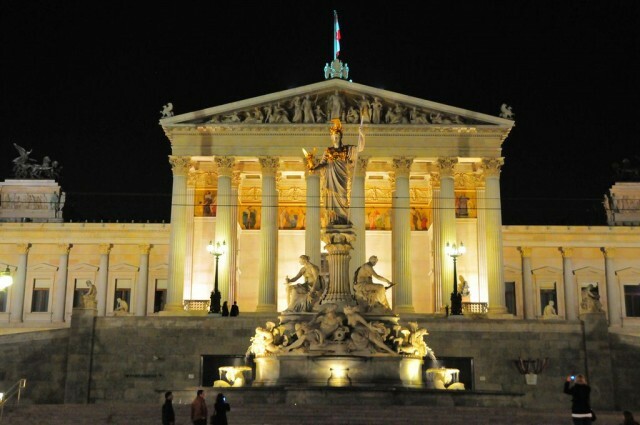 Political "temple" in the Greek style has been urged to remember to the Austrian politicians and legislators about lessons of history and democratic values. Before a stage of a structure there is a fountain of work of architects Kundman, Totenkhayn and Herdlta. In the centre of sculptural group, on a pedestal issued in the form of a bulky column, the figure of Athena of the Pallada is established. 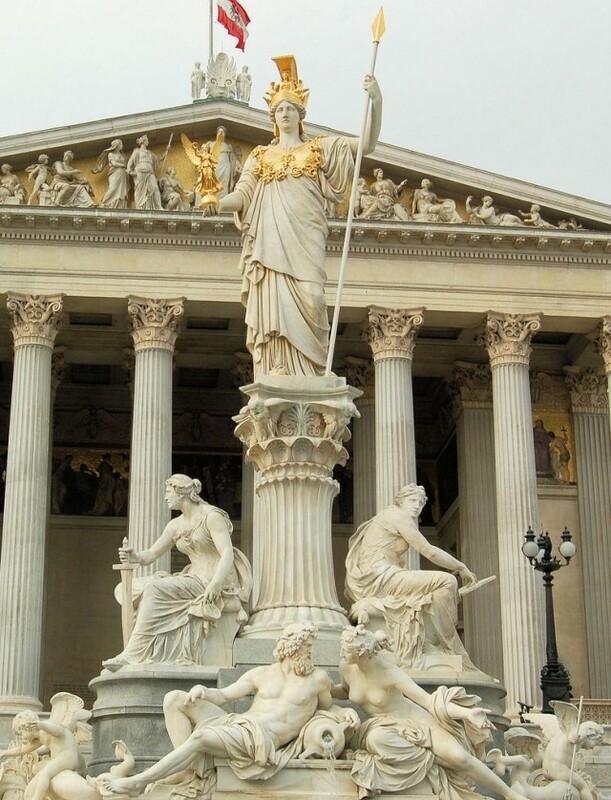 At the bottom of a pedestal and at goddess feet – other marble figures: allegorical signs of the Austro-Hungarian rivers; the statues designating executive and legislature of the power. Before ramps of a structure horse sculptures are established; ancient квадриги are erected on corners of a roof of Parliament. On a pediment of the head case the plastic composition symbolising fourteen Austrian lands of times of the empire is placed. On a ladder of a structure there are statues of ancient historians and philosophers. 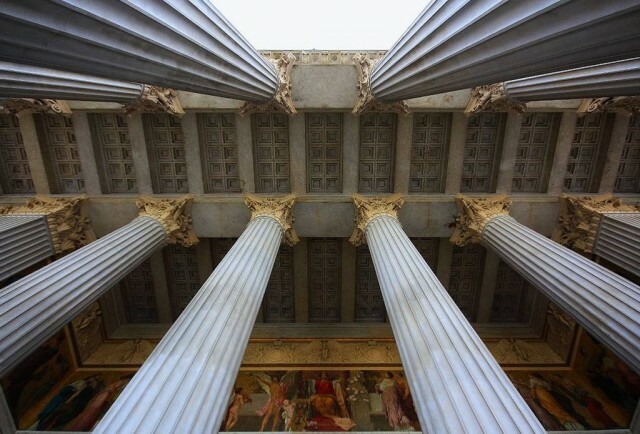 The main entrance is protected by a portico from sixteen stately columns. 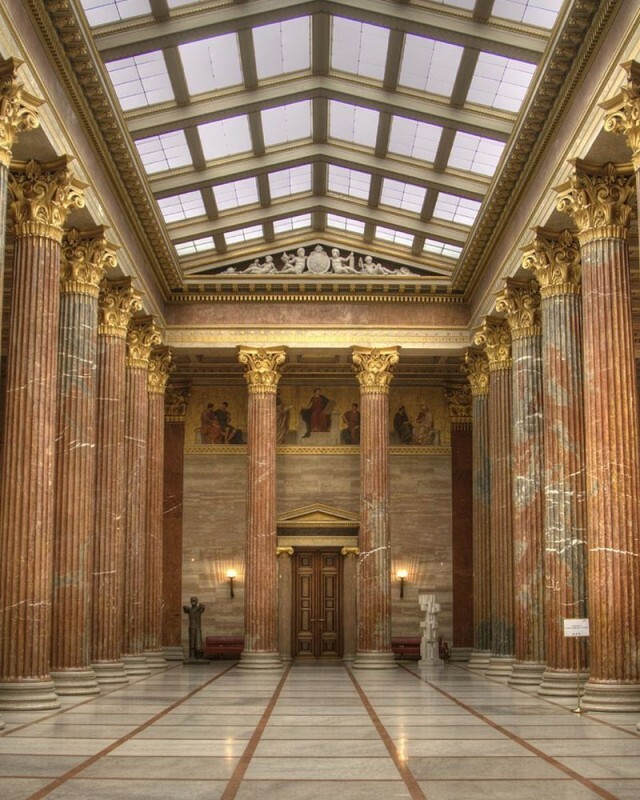 It is possible to pass through an atrium in the Marble hall issued in style of Ancient Greek Parthenon. Behind it the hall of Federal meeting is placed. Walls of this room decorate heraldic signs of the Austrian lands. The hall of the State Council is issued in modern style, its unique ornament – metal an eagle, the coat of arms of Austria. 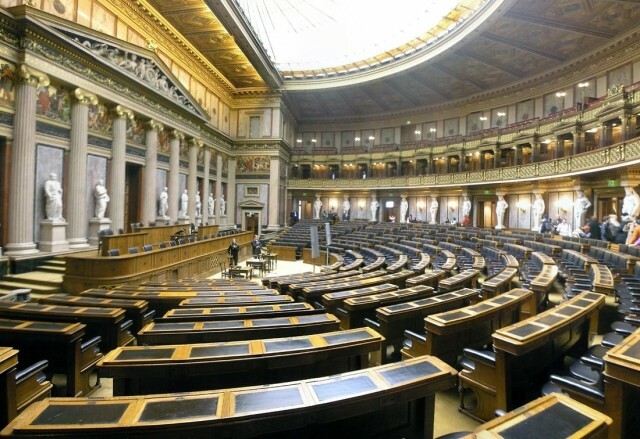 Total area of a parliamentary structure – about 14 thousand m? ; its length makes 151 m, width – 132 m; in it only 910 windows. Without considering chambers for meetings in a big complex there are libraries, meeting rooms, a lobby, bars, sports halls, restrooms. In days of the II World war the building has been destroyed. The complete recovery was carried out in 1955-56. Now the part of rooms of the Vienna Reichstag is open for tourist visits.